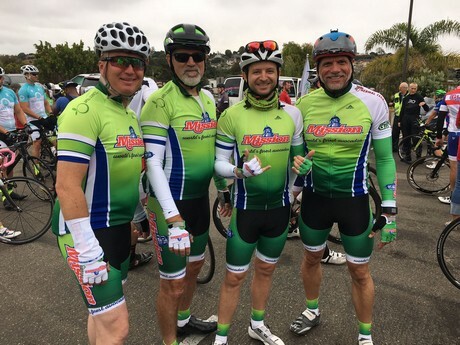 This year’s Tour de Fresh event continued to break records to bring more support to Salad Bars to Schools than ever before. 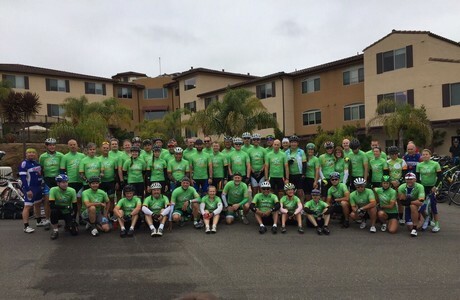 Year four’s starting leg of the race began with the $150,000 goal being surpassed – a first in Tour de Fresh history. 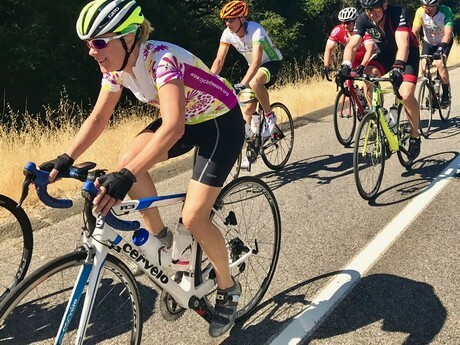 While this ride presented many up-hill battles, including the scorching California heat, raising funds to get more fresh fruits and vegetables in front of the younger generation was not one of them. Riders rode into the finish line at The Wharf Marketplace to be greeted by family and friends for the check presentation of $165,096 that will donate at least 52 salad bars. Abiding in tradition, the yellow jersey ceremony took place after the conclusion of the ride each day to commemorate good sportsmanship. Yellow jerseys were awarded to individuals, nominated by their peers, who went above and beyond to support their fellow riders. This year’s events proposed its own set of difficulties with Mother Nature interfering with the initial route for the race, but encouragement from Olympic cyclists Ina-Yoko Teutenberg and Axel Merckx helped riders endure the alternate, most-challenging course yet. New this year, tracking devices donated by Locus Traxx/Emerson provided family members an opportunity to keep track of their riders and gave riders an opportunity to partake in friendly competitions. To date, Tour de Fresh has raised over $600,000, with the help from the United Fresh Start Foundation, to fund more than 200 salad bars. This year, salad bars will be rewarded to more than 20 school districts across the country.